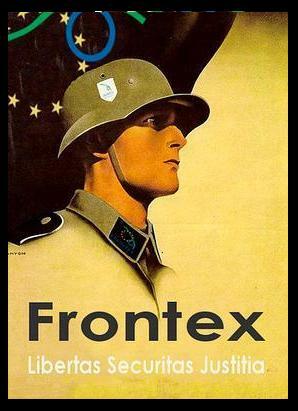 The main goal of http://www.clandestinenglish.wordpress.com is to collect and disseminate content about immigration in Greece – tha latter is part of the Fortress Europe regime, of course. This means we try to bring together news and analyses on the issue for an english-speaking public. We think it is very important to break the language barrier and let an international audience know what is going on with immigration in Greece. We also report on things we are involved in or we have a special interest in, and, in the context of the Group of Immigrants and Refugees local meetings, we try to have our own theoretical and interpretative take on the relevant developments. 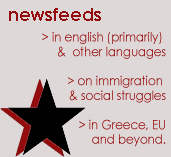 the search for news about immigration + Greece in the net. 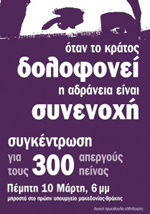 the translation from Greek into English – which includes the need of proof reading the texts by fluent/”native” speakers of English – which we are not. As you may have noticed, practical limitations usually do not allow us to do the diffuse posting – and the proof reading of texts, which at times makes our content a bit shabby. hello. i can help with translations from greek to english as i am fluent in both languages, though mostly in english, so let me know if there is anything you would like me to translate..
for afghan and Iranian !